No matter if you’re moving across town or to the other side of the world, all moving projects present the opportunity for positive growth—and are the last obstacle to face before embracing the chance for a brand-new beginning. That said, moving out-of-state can be quite a challenge, with a significant number of obstacles in the way between making the decision and starting off fresh in a new home. With everything that moving far away entails—packing, making travel plans, buying and selling real estate, and coordinating the endless stream of other details, long distance moving can quickly become an obstacle that can feel impossible to overcome. Luckily, there are ways to make the process a lot easier on you and everyone else involved in the process. As one of the leading moving teams on the East Coast, 495 Movers is proud to help our customers experience stress-free, easy long-distance moving experiences. If you’re moving out of the state, take a look at these helpful tips that can help you organize your process to begin your new life on a positive note. 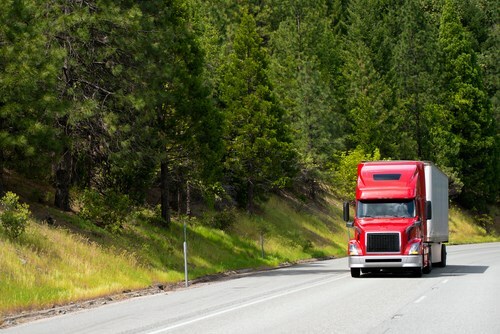 An interstate move can be stressful and overwhelming, but it doesn’t have to be. To help you with your long distance moving experience, we have provided a checklist of what should go into your move throughout the process. Plan your Move: How much packing time is needed? How much professional help do you need? Do you need to cancel the cable? These questions and more should be answered before you touch a single box. Get Move-In Ready: If you can, make sure that the new home is ready for you to move into. If you’re not able to inspect the premises beforehand, make sure your realtor or someone else has checked the property to ensure that all painting, room upgrades, cleaning, etc. are completed before your arrival. Give Yourself Time: The biggest source of stress in a move of any kind is when you don’t give yourself enough time when moving. Start early and map out what you’re going to do each day over the course of a few weeks or even months for the best outcome. Do Your Research: Professional moving services like the ones we provide at 495 Movers can mean the difference between a smooth and enjoyable move, and a crazy, chaotic one. If you need professional help with your move, then make sure you research the moving company to avoid scams or unprofessional services. Check out online ratings and reviews to establish the reputation of a company before you decide to hire them. As mentioned in the last section, the movers you hire can make or break your move. As with any professional service, there are some key things to look for when hiring a company for your long-distance relocation. Hire Certified Movers: Choose a mover that has a brick-and-mortar business for best results. Many scam artists and inexperienced movers set up temporary web pages or run ads to get customers fast, without the proper licensing, bonding, and insurance that established companies have. For your protection, make sure that the company you hire is affiliated with the BBB in your city and have all of the proper registration materials in order. Get Estimates: Get comprehensive estimates from multiple companies to compare rates and services. Make sure you know what goes into the estimate and watch out for hidden fees and charges in the fine print of your contract. Verify Movers: Especially with an interstate move, you need to make sure your movers are qualified to move across state lines. This involves verifying their moving number that is given by the department of transportation. Your mover will also need a carrier number. This can be verified on the mover's website or the DOT website. Consider Storage Services: Moving long-distances can be complicated, and delays and other bumps in the road are quite common. This is especially true when moving across state lines. If complications arise, having readily available storage options can come in handy. Check with your moving company to find out what storage options exist just in case you need it at the last minute. Since 2009, 495 Movers has been helping people and companies make local, long-distance, and international moves. We are pioneering a new way for people to approach their moving experience, with specialized services tailored to facilitate an easy, smooth, and successful relocation. To get started now, give us a call to speak with one of our agents about our professional moving services or fill out our online form to schedule your free, in-home quote today.